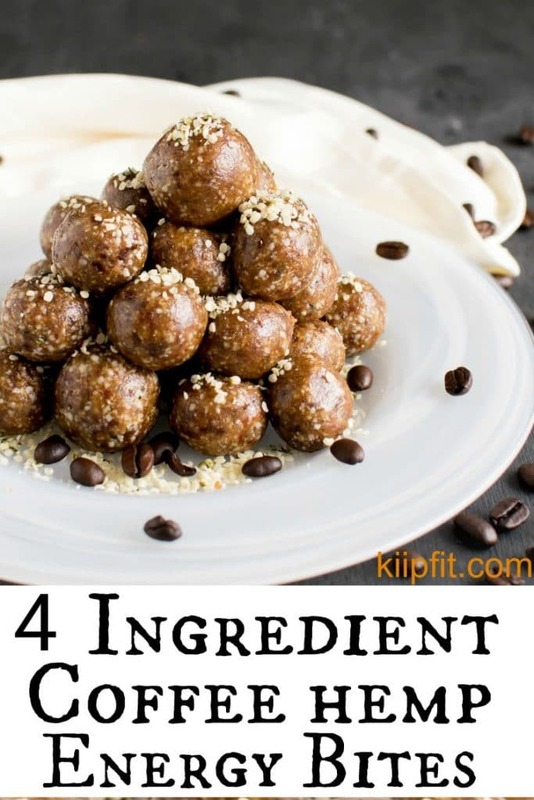 4 Ingredient Coffee Hemp Energy Bites are easy and perfect to satisfy your sweet tooth in a healthy way. It takes only about 5 minutes for these energy bites to prepare. All you need is 4 ingredients and a food processor/grinder. 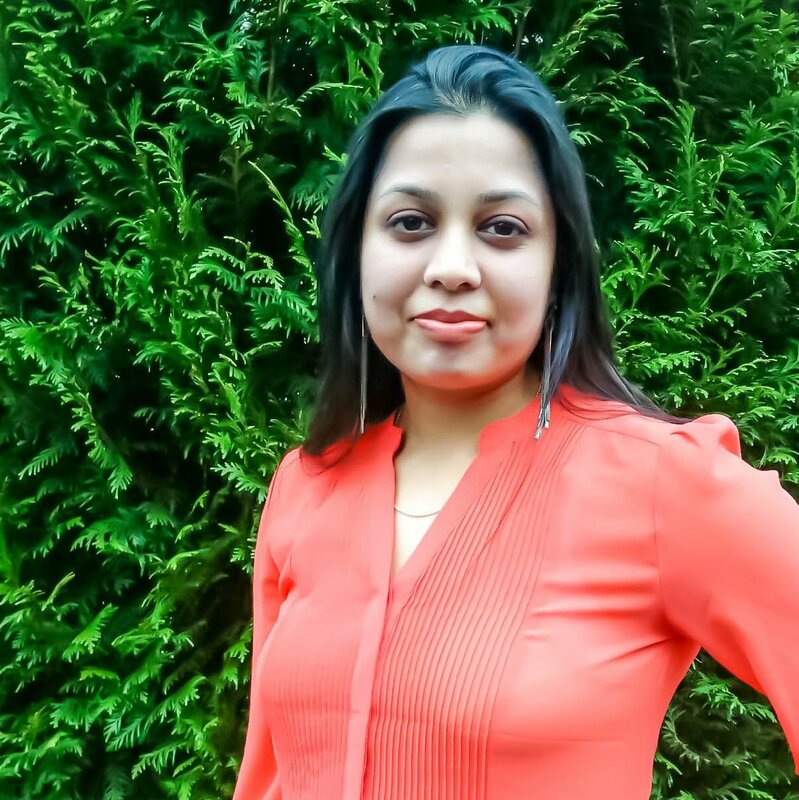 Lately, I have been focusing on using very few ingredients and few minutes in my recipes. No Mess and within budget yet interesting recipes is what my focus is on right now. As we are gearing up to step into the summer season marathon, hiking and many other sports become our prime activities. Hence, I came up with a quick and easy as well as healthy and nutritious yet delicious energy bites recipe. It’s the easiest grab and go energy bites with the satisfaction of being homemade. Simply pop a couple of energy bites in your mouth and enjoy your sports thoroughly. Feel free to enjoy these energy bites for pre workout boost or as post workout replenishment. 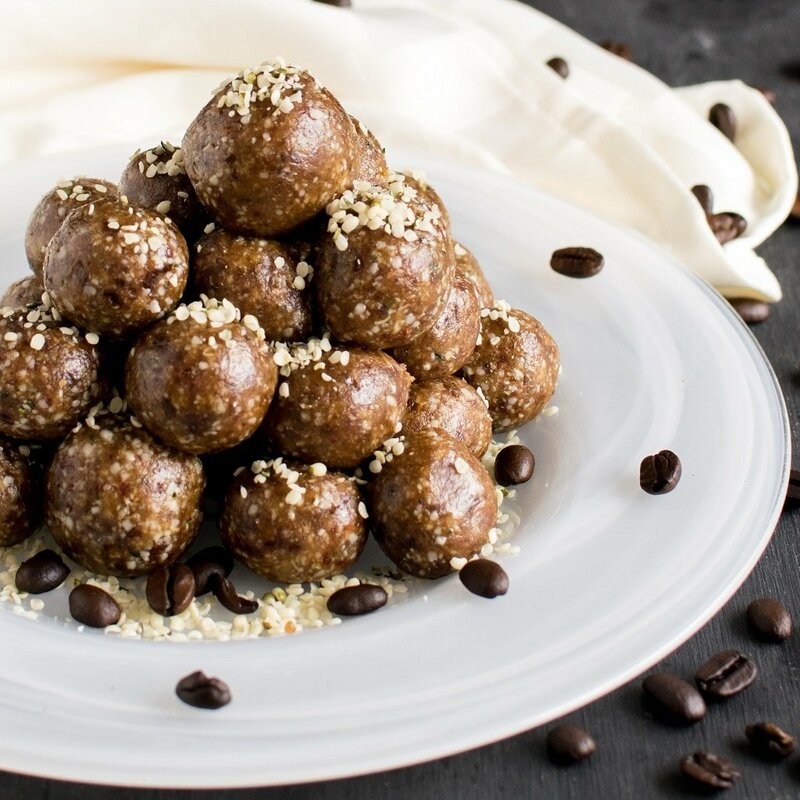 These versatile 4 Ingredients Coffee Hemp Energy Bites are definitely a winner. Dates – They are a good source for many vitamins and minerals like potassium, folate, calcium. Helps promote bone health and overcome anemia. Dates are a great energy booster and they are quite helpful in maintaining a healthy heart. Hemp seeds – As we all know it’s a super food and is high in omega 3 and 6. Hemp seeds contain most of the vitamins and minerals that promotes weight loss. They improve the digestive system as well as promotes a healthy heart. Coffee – If consumed in right amount and within limits coffee helps to overcome workout muscle pain. Coffee helps in reducing the risk of type 2 diabetes. Apparently sipping over some coffee will help you avoid kidney stone. Most importantly, coffee acts like an awesome mood booster. 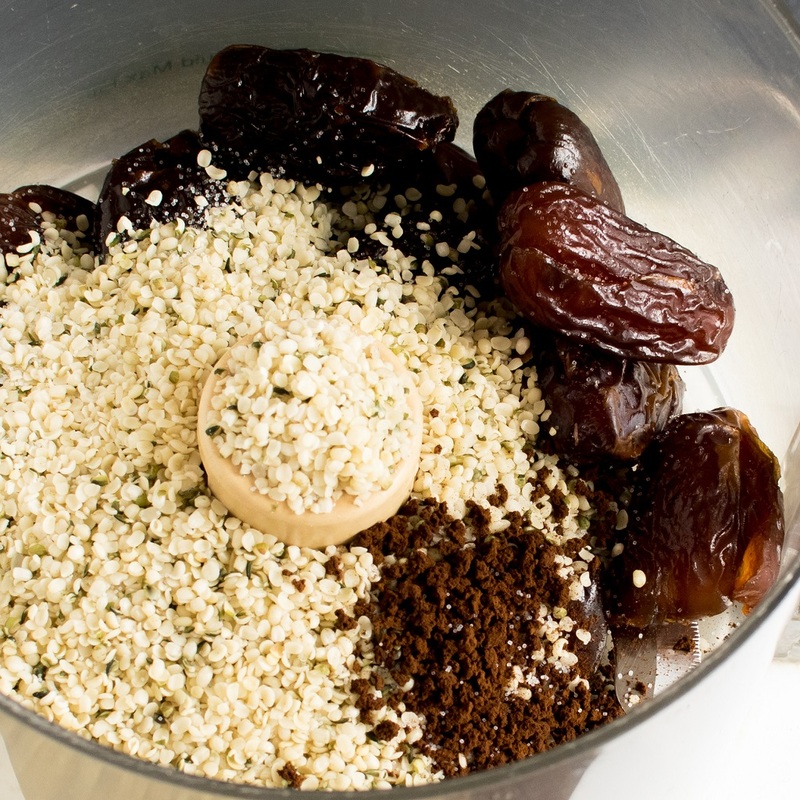 For this combine pitted dates, hemp seeds, and instant coffee powder and a pinch of salt in the food processor. Thereafter, pulse it until dough starts to form. Afterwards make small ball like bites. These energy bites satisfies my caffeine requirement at odd hours and energizes me as well. Its fun to make these bites because usually we have these ingredients in our kitchen. Therefore, not too much planning required for these energy bites. Since weather and mu husband has scheduled marathon runs all throughout the season these energy bites are super handy. Specially after his practice he generally likes to chew on something. So, my wifely role is in full swing to support and provide him with healthy and delicious snacks. I love popping these energy bites in my mouth. These bites melts in my mouth and every bit of it is absolutely tasteful. Of course I saved the rest in the refrigerator in an air tight container for later use. These energy bites are perfect for my post workout boost as well. However, I sometimes like it for my after dinner dessert as well. 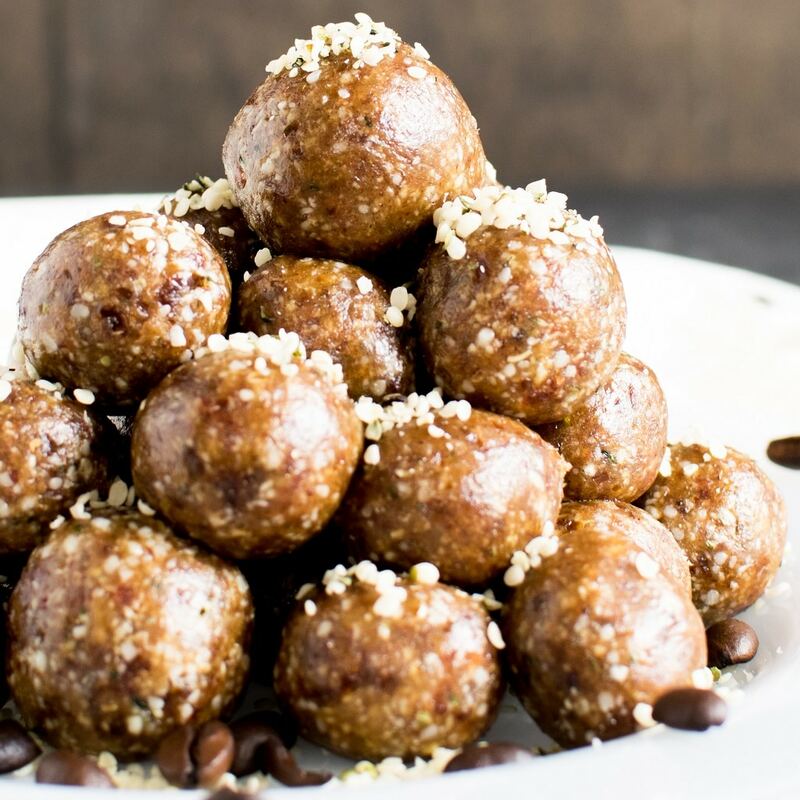 I have a serious sweet tooth and what can be better than 4 Ingredient Coffee Hemp Energy Bites to satisfy the sweet cravings in a healthy way. 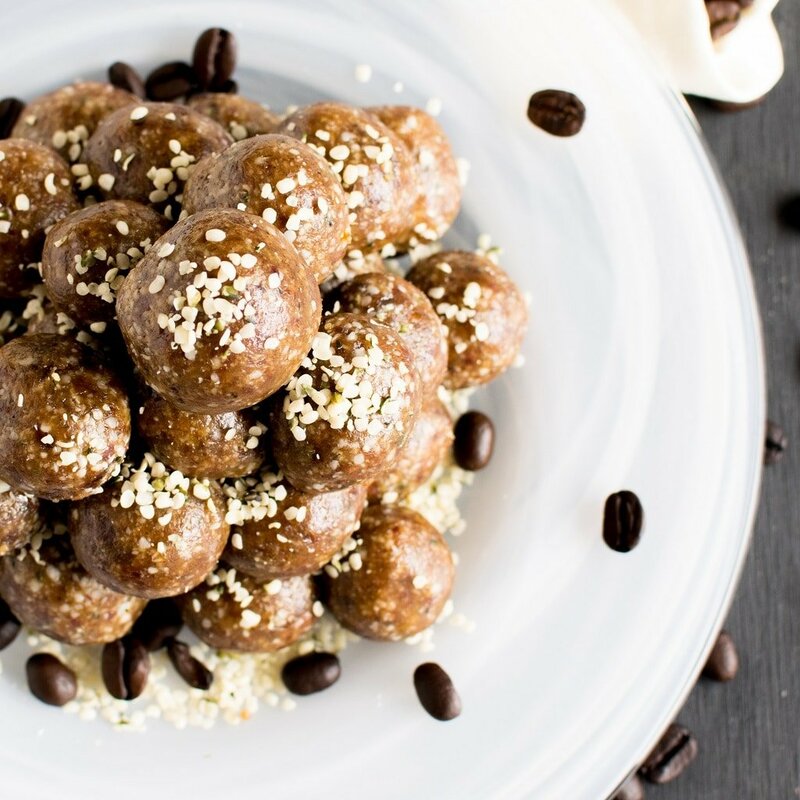 4 Ingredient Coffee Hemp Energy Bites are easy and perfect to satisfy your sweet tooth in a healthy way. It takes only about 5 minutes for these energy bites to prepare. Combine all the ingredients in a food process and process until dough starts forming. Spoon out the dough and divide it into 20 equal parts. Take each part between your palms and shape it round. Enjoy immediately or store in an air tight container in the refrigerator to enjoy as and when desired. If you like strong flavors of coffee then feel free to increase the coffee powder measure as per your palate. These sound so easy to make and look so good.